The Peninsula Youth Hockey Association complies with all USA Hockey Coaching requirements. The list below will outline what requirements are needed to begin coaching and what requirements apply to the continuation of coaching in all USA Hockey sanctioned activities. Anyone interested in joining the Prowl coaching cadre should contact the Vice President of Hockey Programming to discuss interest, previous experience, USA Hockey requirements, and PYHA expectations. Coaches meeting - Wednesday, August 29 at 6:30pm - Iceplex. The first step in preparing to coach or continuing as a coach in a new season is to register as an "Adult Player / Coach" with USA Hockey. USA Hockey registrations expire each year on August 31st. Players (both youth and adult) and all coaches must obtain a new registration when beginning a new hockey season. The USA Hockey season begins September 1st of each year. There is a registration fee for all players and coaches. Team volunteers, such as team managers and locker room monitors may register as a USA Hockey "Volunteer" free of charge. Click on the link below to find the USA Hockey Registration web page. The safety of all PYHA participants is of paramount importance. USA Hockey SafeSport is the organization's program related to the safety and well-being of all PYHA members. USA Hockey Safesport training is valid for two seasons. Coaches must have a current Safesport training certification before they can interact with the players in a coaching capacity. ALL COACHES, TEAM MANAGERS, LOCKER ROOM MONITORs, AND BOARD MEMBERS MUST HAVE A CURRENT BACKGROUND SCREENING. PVAHA Background Screenings are valid for two seasons. Follow the link below to our regional affiliate, the Potomac Valley Amateur Hockey Association , for directions on how to complete your USA Hockey background screening. You must have a current USA Hockey Registration Number to complete application. All Coaches involved with PYHA activities must meet USA Hockey coaching certification requirements. 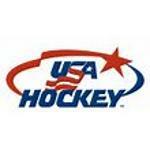 Persons new to coaching will need to complete a USA Hockey Level 1 coaching clinic. Coaches previously certified will need to complete the next level coaching clinic or coaching recertification program. Coaches will then need to complete the USA Hockey Age Specific modules. These modules apply to the specific age groups the coach will be involved with. Keep in mind, some of our teams may have two age modules due to age make up of rosters. The deadline for completion of all coaching certification requirements is December 31st of each calendar year. Individuals who do not complete the requirements by December 31st will not be permitted to continue coaching for the remainder of the season. Click the link below for more information from USA Hockey regarding coaching requirements. ©2019 Peninsula Prowl Youth Hockey Association / SportsEngine. All Rights Reserved.